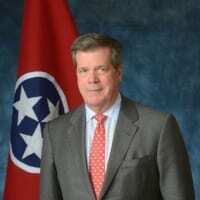 During Karl Dean’s two-term tenure as Mayor of Nashville, he led the city through the Great Recession and a thousand-year flood, with Music City coming out the other side as the “it city” and one of the most enviable cities in the country. “I was elected in 2007 and ran on a platform where I concentrated on public education, public safety and economic development,” Dean says, referring to the agenda that helped to propel Nashville to where it is today. Dean is now running for Governor of Tennessee and his platform is much the same, focusing on economic opportunity, which “starts with education and jobs,” according to his web site. “As governor, I will not rest until a good job, thriving business, and quality education are the standard in Tennessee,” he elaborates. Of course, Dean is well aware that the right investments are vital to continued economic growth, and that managing that growth is going to be an issue going forward. The noticeable increase in traffic congestion seen in Middle Tennessee, not to mention the rest of the state, reflects that success as we attract talent and creativity from all over the world. Dean has been a strong advocate for combining ride share programs with public transportation, and encouraged employers to support an EasyRide program, where employers pay the cost of public transportation for staff. But public transportation is not available for most people, leaving employers hungry for a more universal program that appeals to a majority of commuters today. Regional and state leaders like Dean are excited about a recently announced partnership with Nissan and Hytch Rewards, the Nashville based tech company still celebrating their 2018 Emerging Company of the Year Award from the Nashville Technology Council. Hytch users download the free app and whenever they share a ride with friends, neighbors or co-workers, both the driver and the passenger can get rewarded! Every shared mile driven correlates to 10 Hytch Reward Points for both passenger and driver – but the number of points you get per mile will vary – for example, if your employer is involved you could earn more points. When users hit a minimum point target, they convert points to cash – and it’s all possible thanks to innovative community sponsors like Nissan and Franklin Synergy Bank. Employers are also excited about Hytch as a corporate sustainability program because every shared ride is carbon neutral. Offering cash incentives helps the company defend clean air, ease parking demand, reduce employee stress levels, fight congestion and minimize Music City’s carbon footprint. It’s a big challenge made easy when you partner with Hytch.